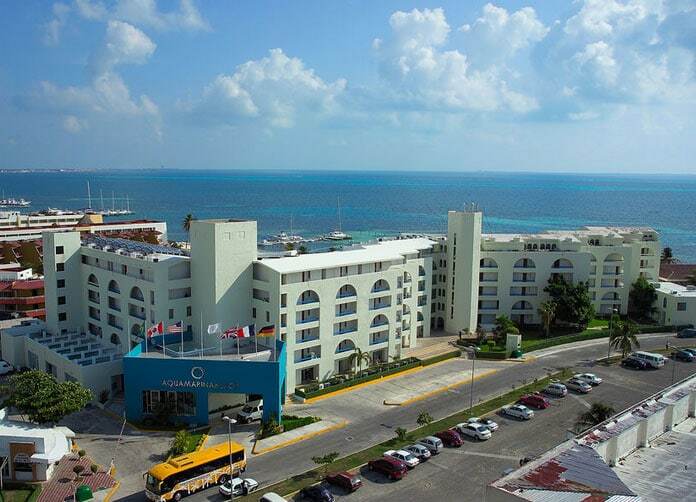 The beautiful hotel of Aquamarina Beach in Cancun is a pleasant sight with the shining Caribbean sun beating down, and once your inside you’ll see the magnificent does not merely lie in the building, but the courteous staff as well. 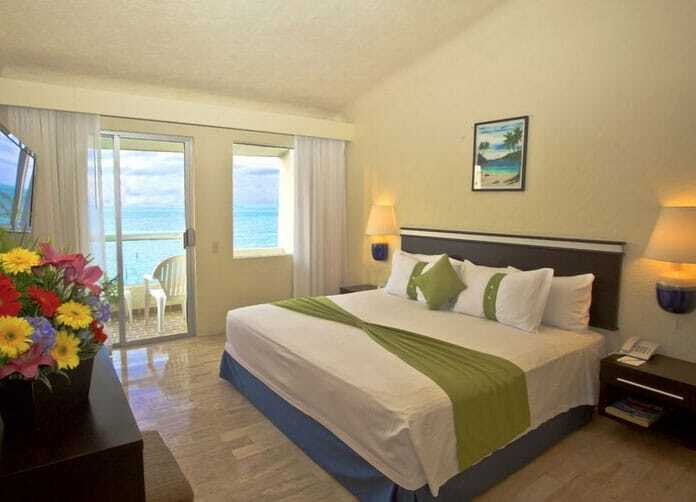 Located on the bay side of Cancun the Aquamarina Beach Hotel offers sheltered waters and a fine beach, just a quick trip by bus either to downtown or to the famous party center. 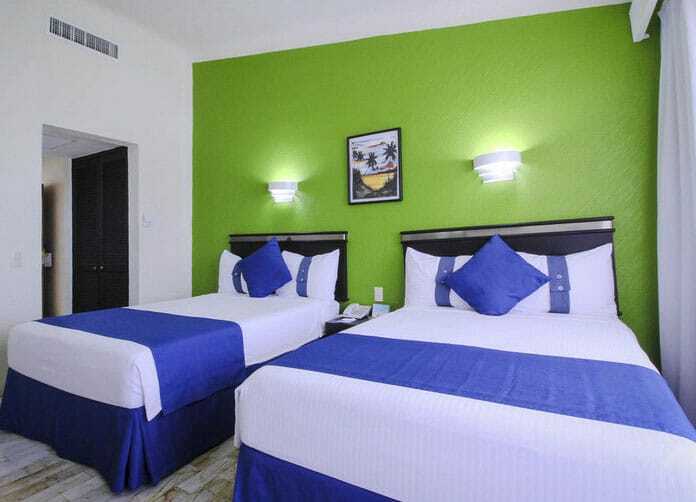 With an inspirational range of rooms at the Aquamarina Beach Cancun to choose from the Standard Ocean View room gives you a taste of the Caribbean and a touch of modern elegancy. Offering 1 King size bed or 2 Double beds, air conditioning, marble floors and a balcony or private terrace, you’ll find that the only thing standard with this room are the wide selection of amenities you will receive. 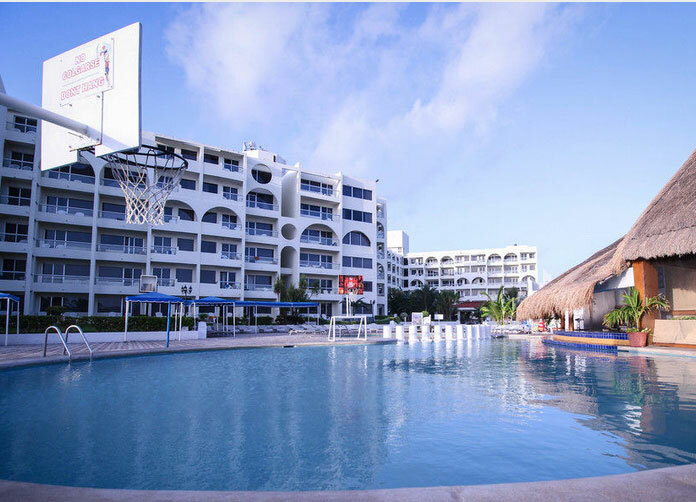 Enjoy a game of ping pong or even shoot a few hoops with a basketball or take advantage of their great pool with many water activities to do within. 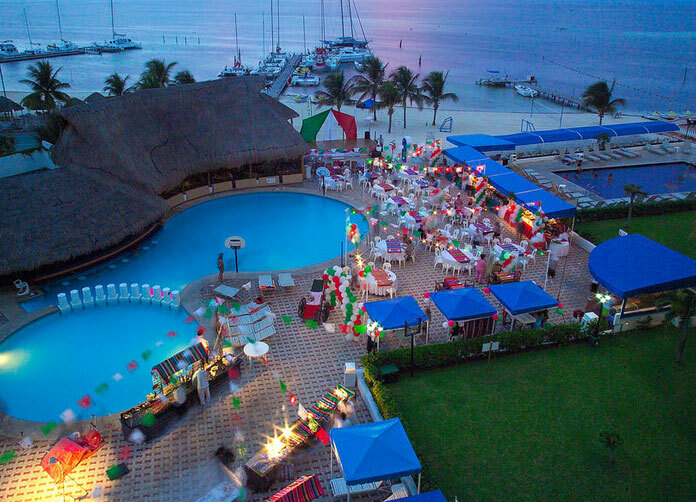 Also you can enjoy the Aquamarina Beach Hotel’s El Ancia swim-up bar where you can enjoy exotic cocktails as well as excellent music. Perhaps you’re eager to take your loved one for a sweet and relaxing walk on the beach – the Kids Club is a great place where your kids can meet other children and enjoy many activities and crafts to keep them happily occupied all day long. Then you can truly enjoy the romantic walk alongside the grand ocean. Don’t forget to indulge in a massage or have a lay on the comfortable lawn chairs which allow you to fully experience the Cancun atmosphere. 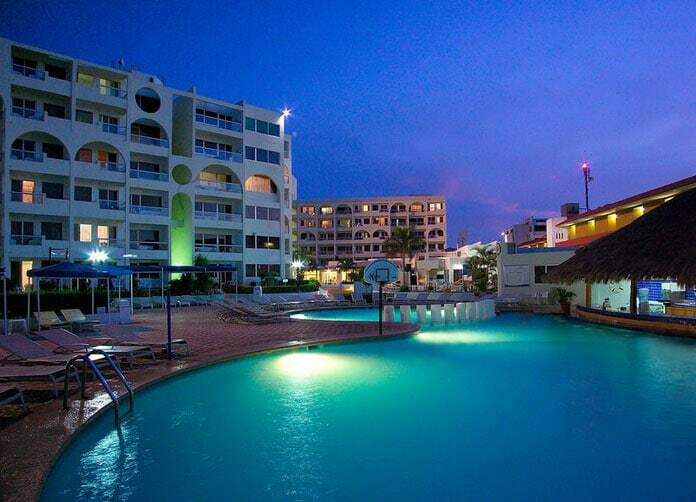 You’ll also find a great game of mini-golf and many night shows providing entertainment from plays to comedy acts. Since you’re already at the Caribbean you might as well take advantage of all it has to offer, including water surfing, jet skiing, kayaking and more. You’ll find getting wet has never been more fun. 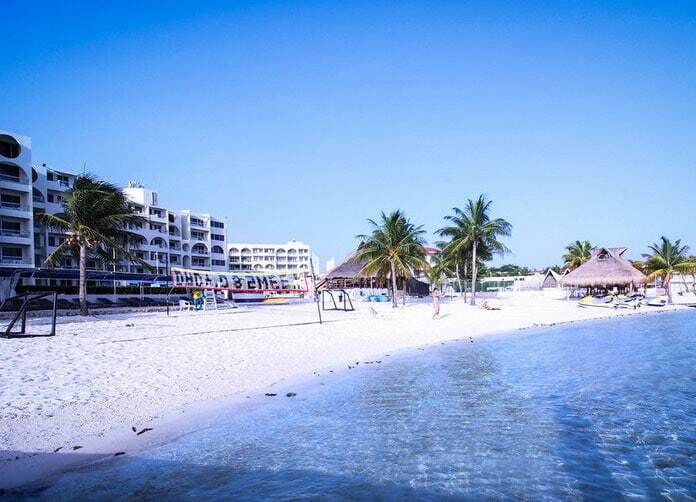 Also while basking in the Cancun sun on the beach you can visit the La Isla bar and enjoy refreshing Caribbean cocktails and cold beers without even going back to the hotel. And the El Timon is open throughout the night for watching movies, sports events and a variety of other shows with the bar right beside. 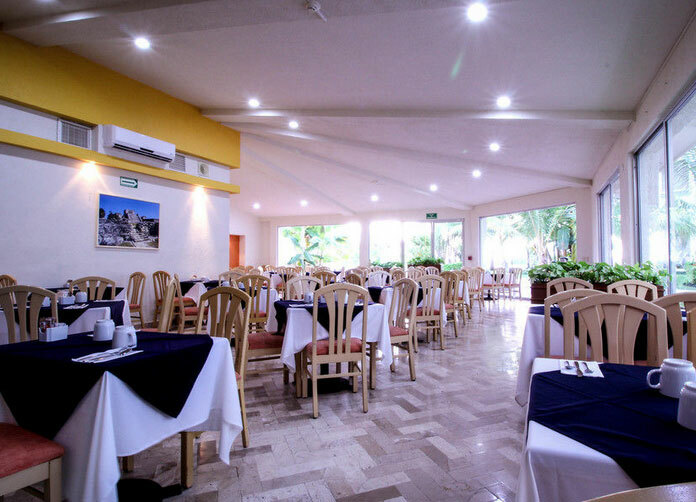 La Palapa: Here you can get a great buffet for lunch and in the evening enjoy exceptional international specialties with a la carte menu and the gorgeous setting of the sun. 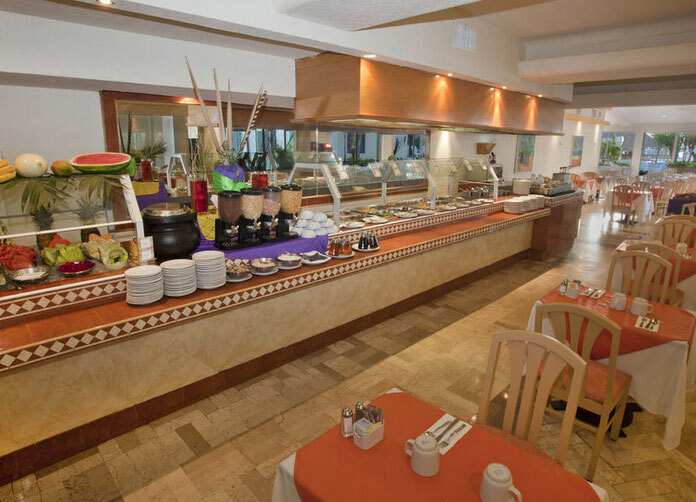 Las Perlas: Be taken away with amazing service and courteous waiters serving buffet breakfasts, lunches and dinners. Address: Boulevard Kukulcan Km. 4.5, ZH. Cancun, Quintana Roo. Time to Airport: 20 minutes.